Enjoy the best private charter flights in the Czech Republic, a small country in Central Europe, located southeast of Germany, and bordering Austria to the south, Poland to the north, and Slovakia to the southeast. ACA is available 24/7 for Czech Republic private jet charters, offering luxury and executive travelers around the clock service and private flights worldwide. Also known by the name Czechia, it includes the historical territories of Bohemia, Moravia, and Czech Silesia. It’s one of the most diverse countries in Europe, home to several cultural influences over a past millennium. It’s also home to a variety of health and wellness spas that make it an incredibly popular holiday destination. Charter the right plane at the right price when you book your private flight to/from the Czech Republic with our 24-hour jet charter services. Our brokers connect executive and luxury travelers to thousands of jets within Central Europe for flights to/from any destination worldwide. Enjoy the best private flights using ACA’s on-demand Czech Republic jet charter services. Hiring a private jet is the most comfortable, secure, and efficient way to travel to and from the Czech Republic, known for its incredible castles, rich history, and native beers. The Czech Republic is landlocked within Central Europe, bordered by Germany, Austria, Slovakia, and Poland. It’s home to a population of nearly 11 million people, and its a member of the EU, NATO, the OECD, the United Nations, the OSCE, and the Council of Europe. Prague is the capital city and most popular destination, home to its 9th-century Prague Castle, a preserved medieval old town, and the statue-lined Charles Bridge. 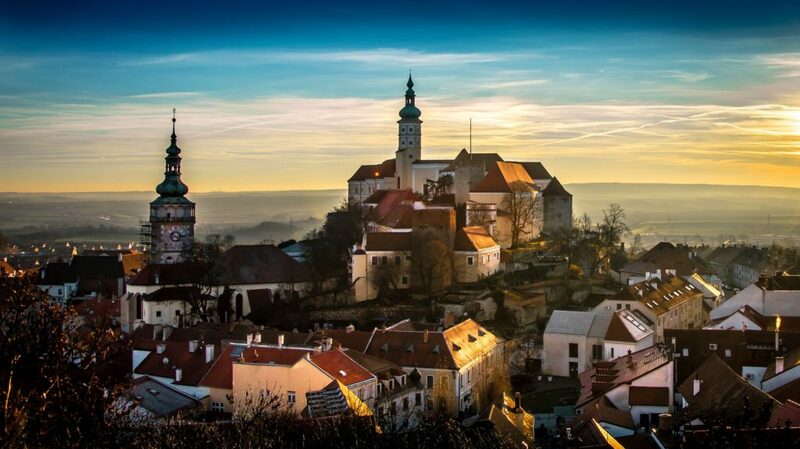 Cesky Krumlov, a small town in the South Bohemia region, is notable for its wealth of Gothic, Renaissance, and Baroque architecture, many of which house restaurants, shops, and hot spring spas. The Czech Republic is home to a diverse population, leaving behind Roman, German, Jewish, Slovakian, Italian, and French influences. It contains a large amount of architectural treasures; it’s filled with hundreds of ancient castles, monasteries, and mansions. There’s even entire towns and villages that feel like you’re walking through living artifacts. In addition to the architecture, it has beautiful forests and mountains to match. In 1989, following elections in Poland, protests in Hungary, and the collapse of the Berlin Wall in Germany, growing dissent and the police actions in what was then known as Czechoslovakia turned into massive demonstrations in an event known as the Velvet Revolution. A democratic government was quickly installed afterwards. On New Year’s Day 1993, Czechoslovakia agreed to peacefully split between Czech bureaucrats and Slovak nationalists known as the Velvet Divorce, resulting in the new states of the Czech Republic, and Slovakia. The Czech flag is the same one formerly used by Czechoslovakia, originally adopted in 1920. Learn more about ACA private jet charter services in the following destinations. Request a Quote or give us a call at 1-888-987-5387 to speak with one of our private jet charter brokers for your next luxury vacation, business trip, or special event in Czech Republic.